Many of us like to start our day with a fresh cup of coffee. Some like to drink it with sugar, some other sweeteners, some milk, while others don’t add anything. But have you tried putting honey in coffee? 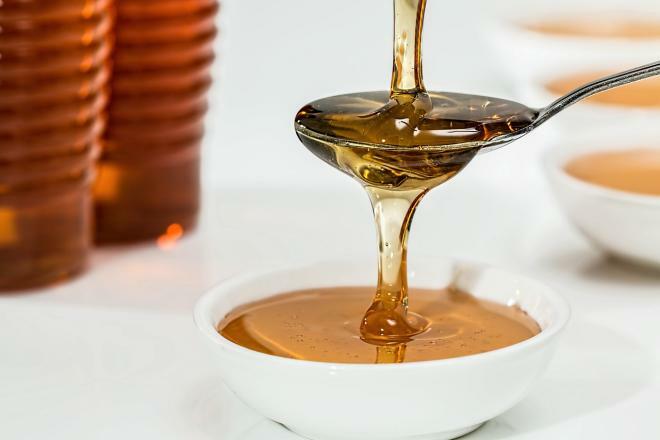 If you like your coffee sweet, then using honey instead of sugar might be a healthier option. If honey in coffee has some benefits or not, we will discuss through positive and negative aspects of adding it to coffee instead of table sugar. Honey mostly consists of simple sugars (glucose and fructose) that can provide sustained energy. Unlike table sugar, honey contains separated glucose and fructose which means that they can be easily used as energy source. Digestion of bonded glucose and fructose in table sugar requires more time because their bond needs to be broken before they can be used. Glucose is easily burned and offers instant energy, while fructose can be stored and provides a prolonged source of energy. Honey has lower glycemic index than table sugar, so it has a lesser effect on blood-glucose levels. High spikes in blood sugar make you energetic for a short period of time but soon after it drops and you feel tired. Also, blood sugar spikes caused by table sugar may cause hunger and make you eat which can result in body weight increase. Using honey in coffee might help you in losing weight because you won’t feel hungry because of it. For many coffee drinkers, the taste is an important factor also. When it comes to taste sugar has an advantage over honey because some people don’t like the strong taste of honey in coffee. Many find that the taste of honey doesn’t go well with coffee. But, maybe you just have to try the right kind of honey that would mixed with coffee satisfy your taste buds. Read more: What’s the buzz about Slovenian AZ beehive? Honey in coffee - try it! If you find the right mix of coffee and honey, it could benefit your health. There are many kinds of honey to choose from, as well as kinds of coffee. Who wouldn’t like to reap all the benefits of honey right from the start of your day, with your morning coffee?